Ryhope CW are out of the Northern League Cup, falling to a 3-1 defeat at home to Whitley Bay. Colliery Welfare beat Whitley Bay 3-1 in the league at the weekend and hoped for a repeat performance, but it was Bay who got instant payback to progress in the League Cup. Jack Devlin gave Ryhope an early lead. However, Stephen Ramsey got an equaliser which turned the game in Whitley Bay’s favour. Andrei Ardelean gave Bay the lead before doubling up to give the away side a two goal margin. 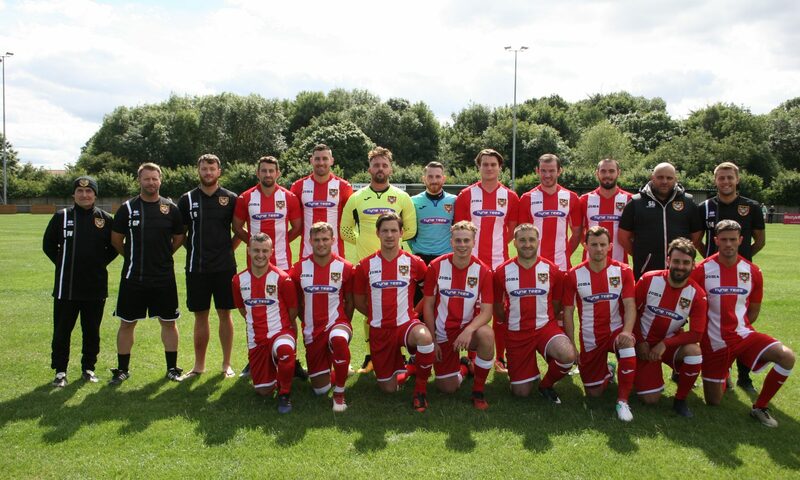 The Northern League Cup was the last cup competition Ryhope remained in and they were hoping for a good run to add some excitement to the season. They got off to the perfect start when Devlin was played in behind in the 3rd minute to slot past Chris Bannon. However, Bay looked for an instant response forcing Jonny Ball into a good save from Craig McFarlane. The away side had further good chances through Luke Salmon and Kevin Carr whose effort was fantastically tipped onto the bar by Ball. Whitley Bay’s deserved equaliser came in the 20th minute when former Ryhope CW man Ramsey headed in a Peter Glen-Ravenhilll corner. Blyth Spartans loanee Ardelean gave the away side the lead four minutes later, beating the offside trap before adding a cool finish. It had been one way traffic for a while, but Ryhope showed some signs of getting back into it, Matty Weirs firing wide after an excellent bit of build-up play in the 31st minute. However, Ardelean headed in on the rebound after a Ben Richardson free-kick to make the task for Ryhope much more difficult. Colliery Welfare needed to come out firing after the break, but early signs in the second-half seemed as if the game was still with Whitley Bay, Ball being forced into an early save. Colliery Welfare started to have some dangerous looking attacks, but could never seem to find space to shoot or the final touch in the box. Substitute Gary Shaw had a great chance inside the box late on, but Bannon was equal to it. A second-half goal could have rattled Whitley Bay and changed the momentum back in Ryhope’s favour, but it never came and Colliery Welfare crashed out of the League Cup. They will now look to pick themselves back up in time for the Ryhope Derby at Meadow Park this Saturday.